1. Water-logged steel rods on the new Bay Bridge could cost as much as $25 million to fix and tollpayers likely will have to pay much of that amount, the Chron$ reports. The steel rods inside the span’s signature tower are inundated with saltwater from the bay due to shoddy workmanship. Regional transportation officials, however, are neither sure of the exact costs to fix the problem nor whether they will be able to charge bridge builder American Bridge/Fluor for it. 2. 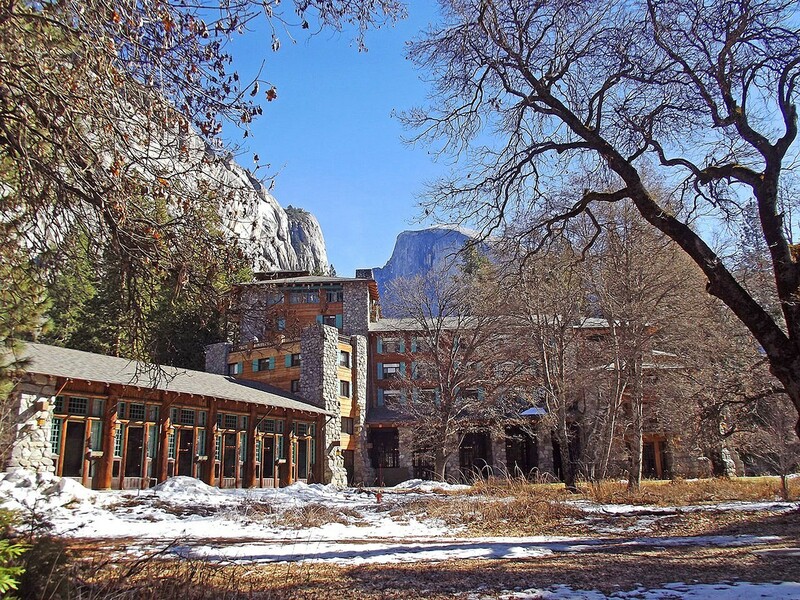 Ex-Yosemite National Park concessionaire Delaware North has sued the National Park Service in a dispute over iconic place names in Yosemite, including the Ahwahnee Hotel, Curry Village, and Badger Pass, the SacBee$ reports. Earlier this year, the park service awarded the Yosemite concessions contract to another company, Aramark, after Delaware North claimed that it owned the naming rights to numerous places in Yosemite and demanded that the park service hand over $51 million for the rights to those names. 3. The Contra Costa County Board of Supervisors voted to reinstate healthcare services for undocumented adults living in the county, KQED reports (via Rough & Tumble). The board suspended healthcare services for undocumented adults in 2009 during the recession. The county never stopped providing care to undocumented children, however. 4. The same attorney who is suing Uber — the on-demand ride service giant — for underpaying and mistreating its workers, is now also suing on-demand food delivery services GrubHub, DoorDash, and Caviar, the LA Times$ reports. Attorney Shannon Liss-Riordan alleges in a lawsuit that GrubHub and the others — like Uber — have illegally classified drivers as contractors rather than employees in order to maximize profits. Last month, Liss-Riordan won class-action status for Uber drivers in their suit against the company. 5. The death toll from the fast-moving Valley Fire in Lake County, just north of Napa County, rose to four with the discovery of remains of another resident who refused to heed evacuation warnings from authorities, the Chron reports. 6. And a group of prominent scientists at UC San Francisco has joined the opposition to the Golden State Warriors’ plans to build a new arena across the street from UCSF Medical Center, the Chron reports.